An everyday life's Odyssey » The Buddha above the trees. The Buddha above the trees. The Buddha above the trees. Lantau island, Hong-Kong. This island is the second biggest after Hong-Kong. 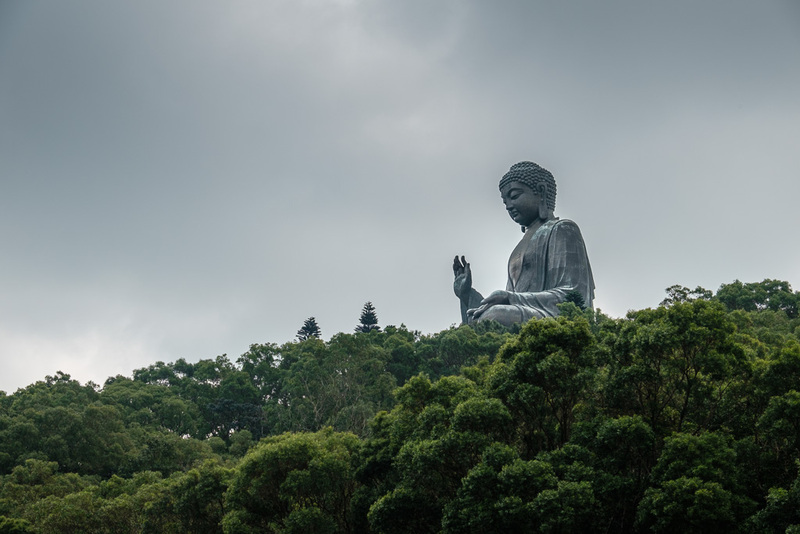 In the middle, there’s a big Buddhist monastery with Tian Tan Buddha, one of the biggest Buddha in the world. Built recently, it has become one of the landmarks of the city. The site is beautiful, but it felt like it was more a Buddha themed Disneyland than an actual sanctuary.